With new property developments either commencing or completing on a monthly basis the Cambodia property market is one of the most dynamic in the region, and a driving force behind the country’s 7.16 per cent average GDP growth rate over the last five years. The diverse range of accommodation types constantly being announced means that for buyers the Cambodia property market offers plenty of choices, while for developers the pressure is on put as much into their properties as they can. With so much choice it is hardly surprising that just five months after its first, Phnom Penh is set to host another property buyers exhibition, with local, regional, and investment buyers all being targetted. Organised by online real estate portal realestate.com.kh, the Cambodia Real Estate Show 2 at Naga World Hotel between October 6 and 7 will feature a range of developments from boreys (gated communities) through to high end luxury apartments and everything in between from no less than 19 significant projects and developments. At the show last May more than 30 sales totalling in excess of $30 million were made and this time round organisers and exhibitors are hoping to exceed the previous figure. In addition to major project developers more than 50 exhibitors from industries allied to the property market will be in attendance offering a range of management, consulting, and financial services to attendees. In addition to providing attendees with an insight into the latest offerings in the the Cambodia property market, the show will also give prospective buyers and investors access to a range of information on all things the Cambodia property related through a free seminar series running in parallel. Keynote speakers at Cambodia Real Estate Show 2 include Dr Sok Siphana, a practicing attorney and a managing partner at Sok Siphana & Associates. A former commerce secretary of state (vice minister), Dr Sok has unique experiences and insights of the Cambodian legal system, the business environment, and the intricacy of Cambodia commercial and investment law. Also sharing their knowledge and experience will be David Marshall a partner at Mekong Strategic Partners who will provide a lenders perspective on real estate, while Rami Sharaf, vice president of the Royal Group of Companies, will discuss the right timing of investments. Another Sok Siphana & Associates partner, Matthew Rendall, will discus Cambodia foreign property ownership laws. Additional speakers are scheduled to discuss topics as diverse as the ‘Chinese Investment climate and Belt and Road initiative’, ‘Property Management considerations for Investors’, ‘Real Estate Investment, Secrets that Guarantee Success!’, ‘Cambodia Property Tax, and the importance of using a lawyer when investing in property’, ‘Citizenship by Investment’, ‘Why you should consider a second passport’, and much more. Sessions will be held in English, Khmer, and Chinese languages. More importantly, all the sessions are free. Tom O’Sullivan, CEO of Realestate.com.kh, said that “Cambodia Real Estate Show 2 will enable both first-time and repeat real estate and property investors to obtain a big picture view of the the Cambodia property market, and the range and style of properties – whether for investment or occupancy – available. “For those who might not yet be in a position to buy the free lecture series will provide them with a considerable amount of information that will enable them to make an informed decision when the time is right”, he added. According to Bonanza Mily, event manager of Realestate.com.kh, the second show coming just five months after the first is due to the feedback received from attendees at the first Cambodia Real Estate Show in May. “There were strong requests from potential buyers to hold regular future exhibitions if possible due to the number of new projects beginning development, or nearing completion. Developers were also happy with the quality of inquiries they received, while many people said the lecture series was particularly helping in providing them with an understanding of the Cambodia property market. “For this second show we have implemented a new marketing strategy that pays particular focus on neighbouring Asean nations. 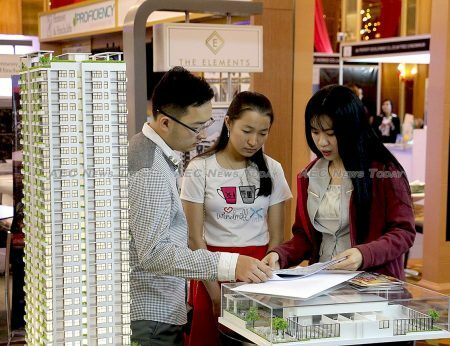 From the number of inquiries and registrations received so far we expect to surpass the number of visitors at Cambodia Real Estate Show 1″, she said. A previous version of this story described Rami Sharaf as CEO of WorldBridge International Group. He is now the vice president of the Royal Group of Companies. 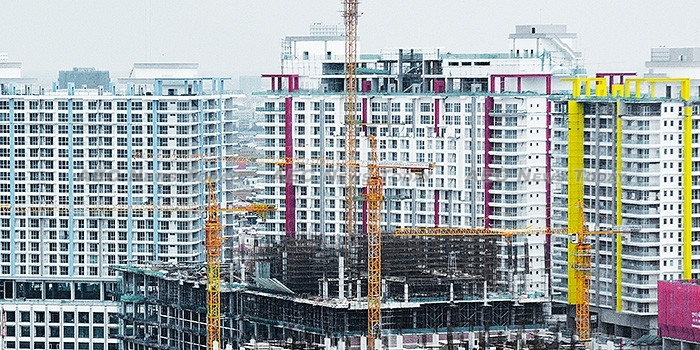 One Response to "Cambodia property market prepares for second real estate show"
If you’re in the first time to investment property, invest confidently with the Peak. The property has a Partnership with CapitaLand and Shangri-La Hotel. Phnom Penh is filled with street markets where you can go shopping and use your bargaining skills. In fact, the Peak Cambodia Phnom Penh, which is a new Retail Mall will rise here and will be managed by CapitaLand Singapore.